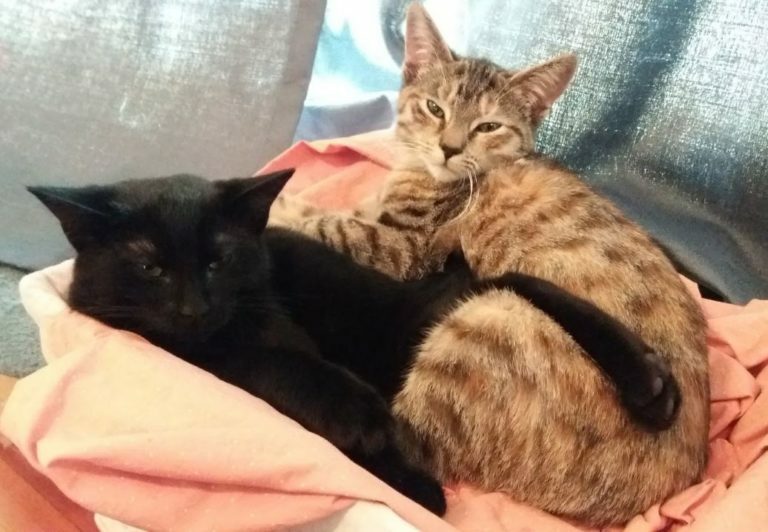 Were you wondering how the kitties are doing? It’s funny, just the other day I was out and about and saw something with a Charles Dickens quote I’d never noticed before: “What greater gift than the love of a cat.” Indeed, Chuck. Dogs. . . they’re easy. Kitty love must be earned. So. . . they’re good! It’s been two and a half weeks, and we’re getting there. Well, of course, kitties love tassels, amiright? 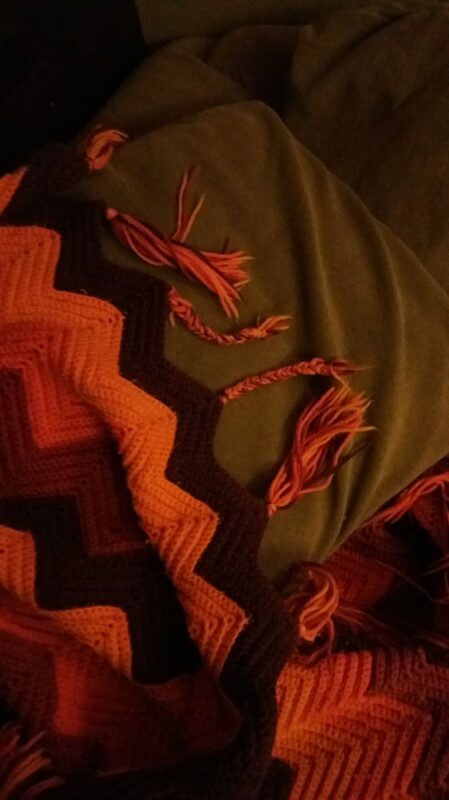 Actually, I took this picture because this is a very old blanket, and I think it’s entirely possible that some of this blanket fringe has been braided since way back when I braided it, idly, while watching TV when I was younger than J is now. Because back in the olden days I didn’t have a second, smaller screen to keep my hands busy while watching TV. Just looking at this blanket transports me to the shaggy blue carpet of our family room in Katonah, New York. But I digress. The point is, Ruth and Dave like to play. They are also venturing out into the wide, wide world of our small house now, especially now that we’ve cleared the house of all those terrifying Thanksgiving guests. When they first arrived, they’d nap while hidden securely under a very large piece of furniture, but now they’re comfortable out in the open, and they’ve discovered that they really like a basket in our bedroom. 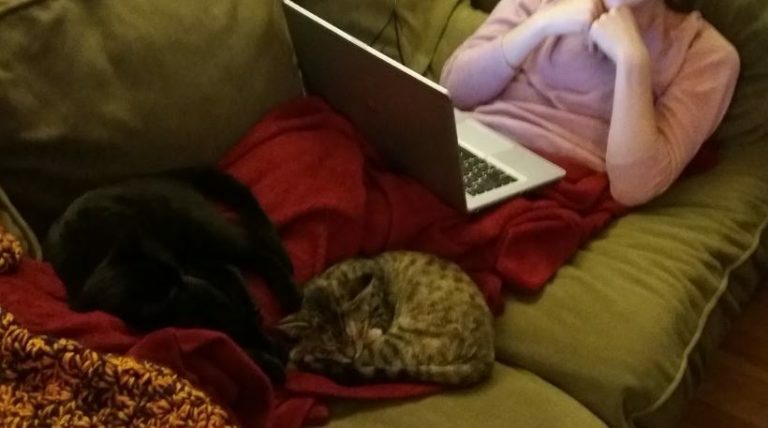 Yesterday, for the first time, they found a human lounging on a sofa and decided to climb aboard. J remained in place far longer than she’d originally intended. They still don’t quite snuggle on demand or, you know, play fetch, but they’re settling in nicely. But are we a little worried that they’re going to go crazy over the Christmas tree? Yes we are.